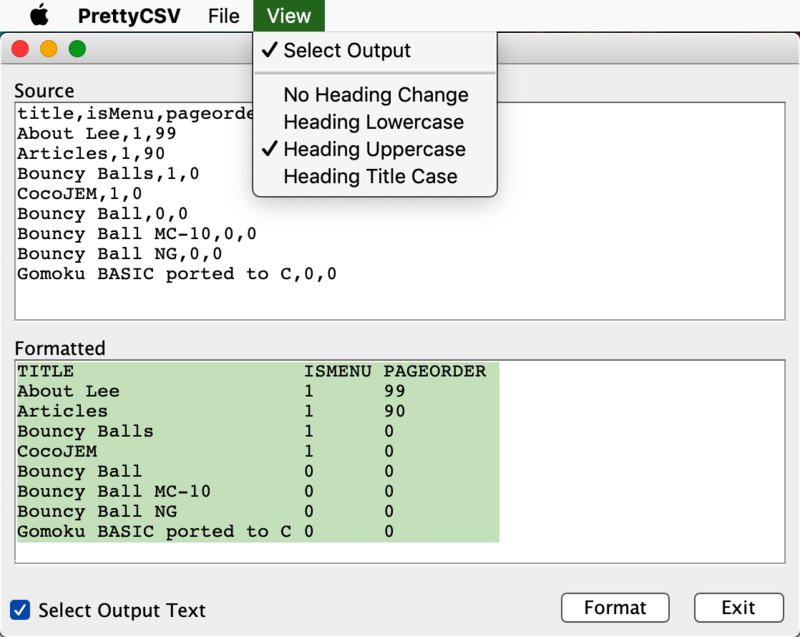 PrettyCSV is an open source developer tool that makes it easy to stop beating yourself on the head. It formats CSV text into neat columns, much like a spreadsheet, suitable for pasting into email or textual documents. How does it work? Simply paste the CSV text into the Source field, hit that Format button, and just like a rabbit being pulled out of a magicians hat, the neatly formatted text appears in the Formatted field below. You can change the case of headings, automatically select the outputted text, and even change the number of spaces between columns. Groovy idea? Hit that Like button if you please.